You are hereby commanded to summon Mary Ann Fenwick if she shall be found in the County of Washington in your said District, that all excuses and delays set aside, she be and appear before the Circuit Court of the District of Columbia to be held for the County of Washington at the City of Washington, on the fourth Monday of December next, to answer the Petition for freedom of Sarah Oakley, in behalf of herself and her four children John, Mary Ann, Eliza and Thomas in the said Court filed against her. Hereof fail not at your peril and have you then and there this writ. 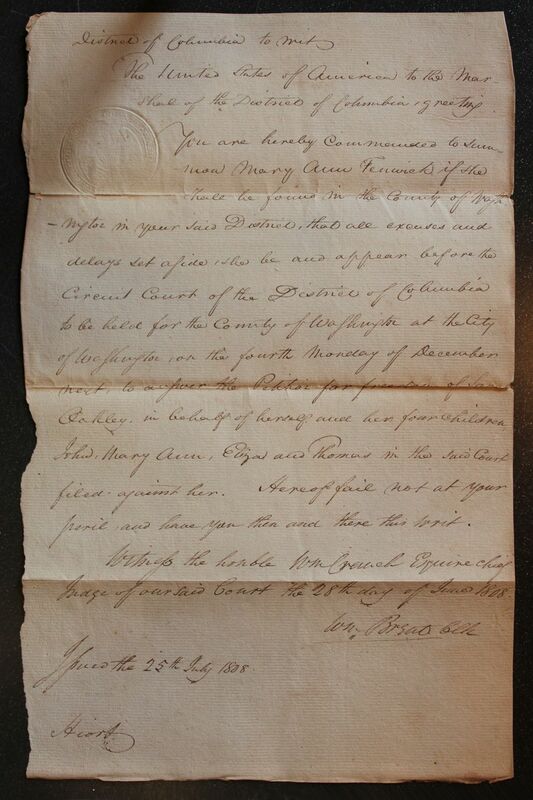 Witness the honble Wm Cranch Esquire Chief Judge of our said Court the 28th day of June 1808. 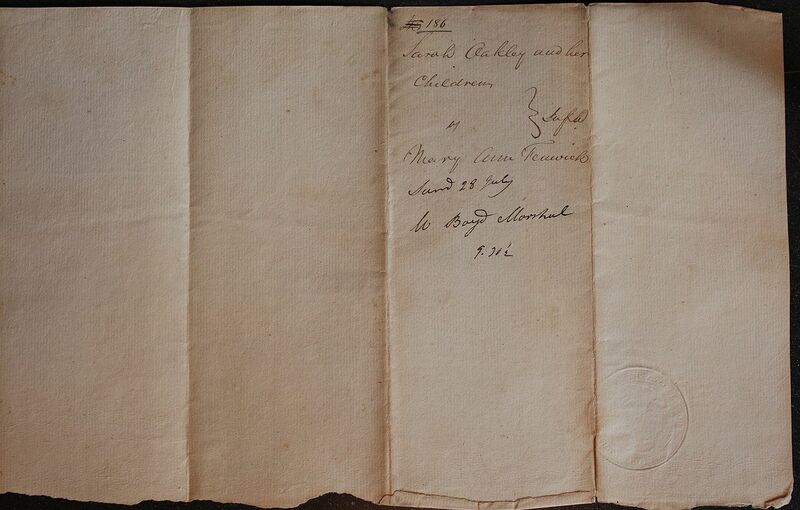 Issued the 25th July 1808.